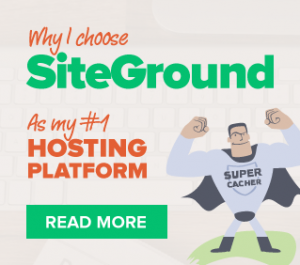 If you want more freedom with your contact form then you can use the free contact form 7 plugin as your form builder. Contact form 7 will give you more field options, for example, a date field. 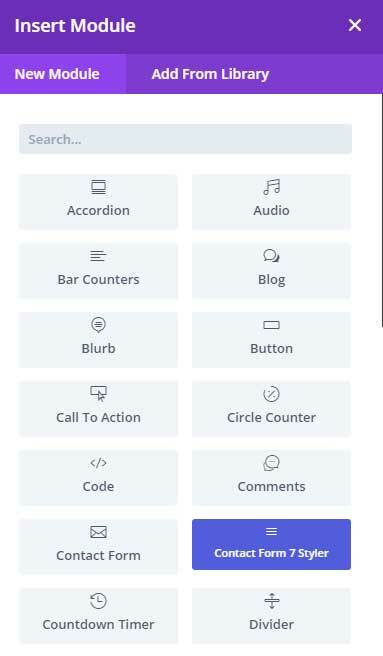 However, the contact form 7 styling is very basic, but fortunately, there is a great free Divi plugin that you can use for styling contact form 7 forms. With this free plugin Contact Form 7 Styler for Divi you can style any contact 7 form in the visual builder for Divi. In this tutorial, I will show you how you can make contact form 7 look like Divi or give it any look you want. Search for contact form 7 by Takayuki Miyoshi and install the plugin. Then search for Contact Form 7 Styler for Divi by DiviPeople and install it. Go to Contact > Add New and create a form in that you want to use as your form. 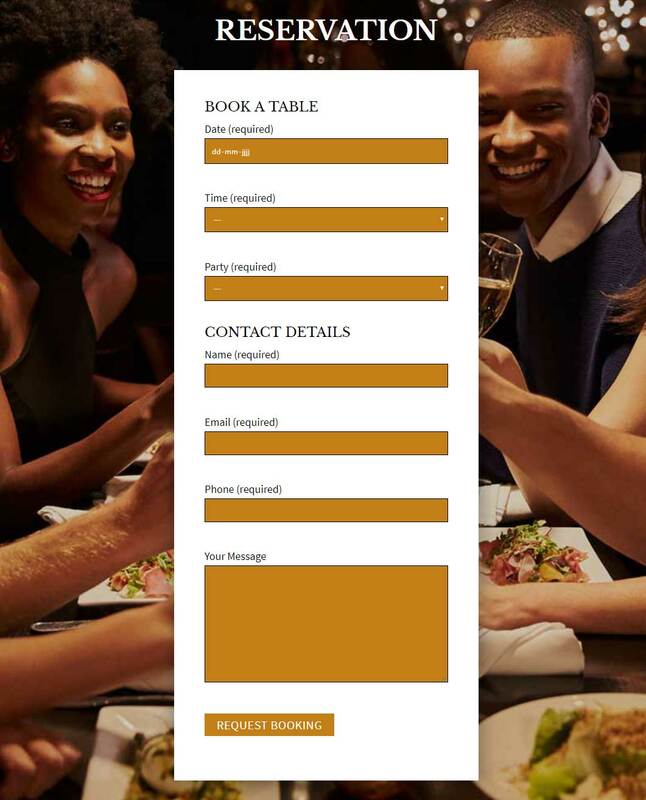 In this example, I created a reservation form for my restaurant child theme. Go to the page you want to show your form, you can do this from the backend or the frontend with the visual builder. 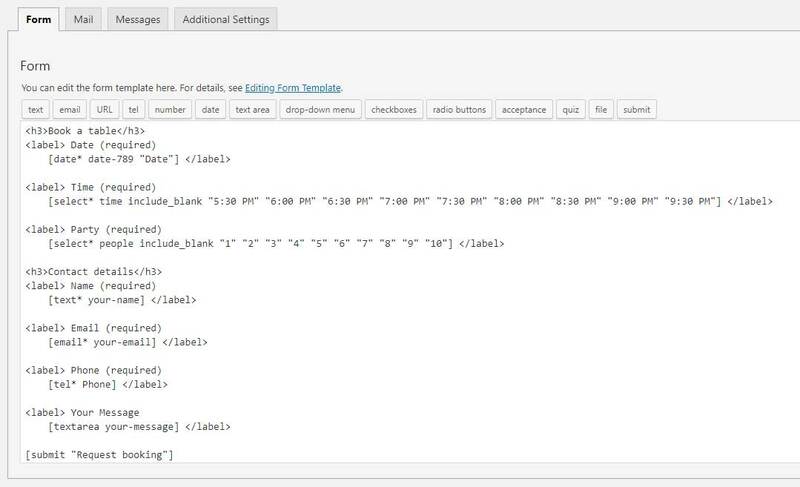 Insert a new module and you will find here a new module type called Contact Form 7 Styler. Under General choose the form that you have created in step 2. 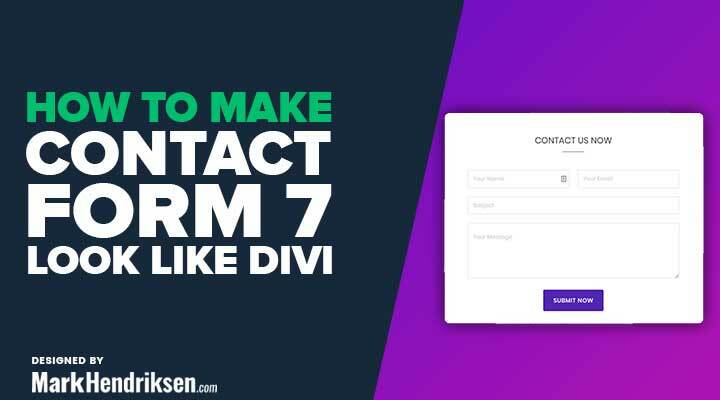 With these modules you can style your contact 7 form just as the Divi form module.